As a rule I hate being in cities, but I am happy to make an exception when it comes to New York. 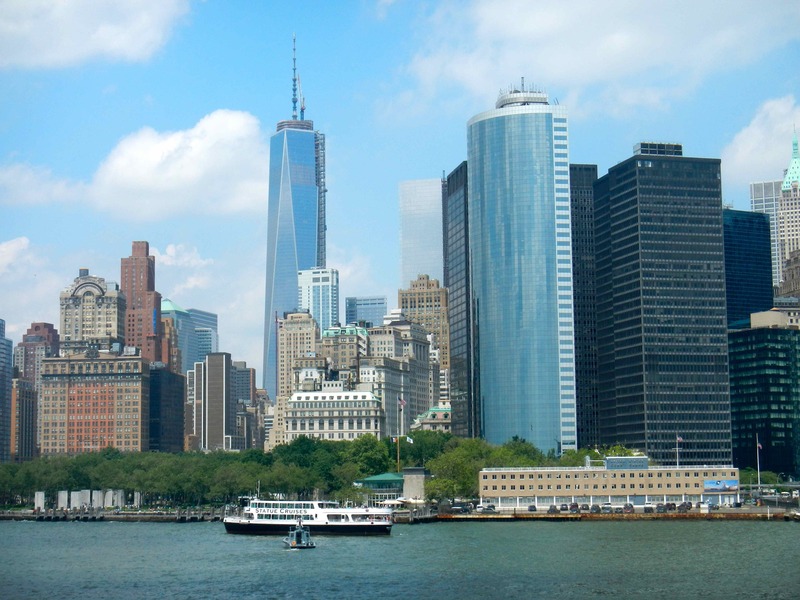 I first visited NYC in 1977, which was some experience for a then wet-behind-the-years 16 year old on his first trip to sea! The place really is unique and I have been fortunate to have been back on many occasions. The fishing for striped bass around Manhattan is excellent, check out my ‘striped bass’ article under the Memorable Trips section of the website. 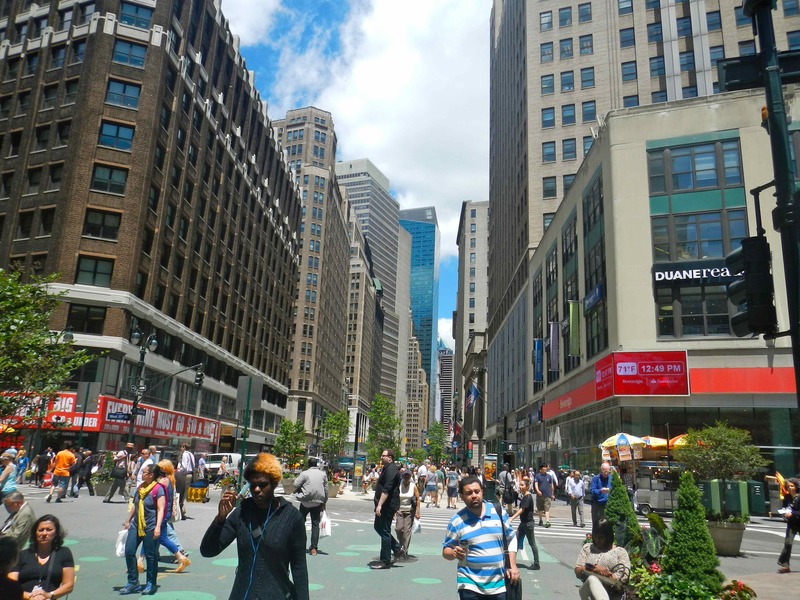 Last week I spent another 3 days in New York at the start of a week long holiday with my wife. The weather was beautiful and I was tempted to fish, but on this occasion I was happy to just be there, as serious illness in the family had meant that right up until the day before we left, Alison and I were not sure whether or not we would have to cancel. Luckily we didn’t and we had a great time, though the credit cards took a right royal hammering! 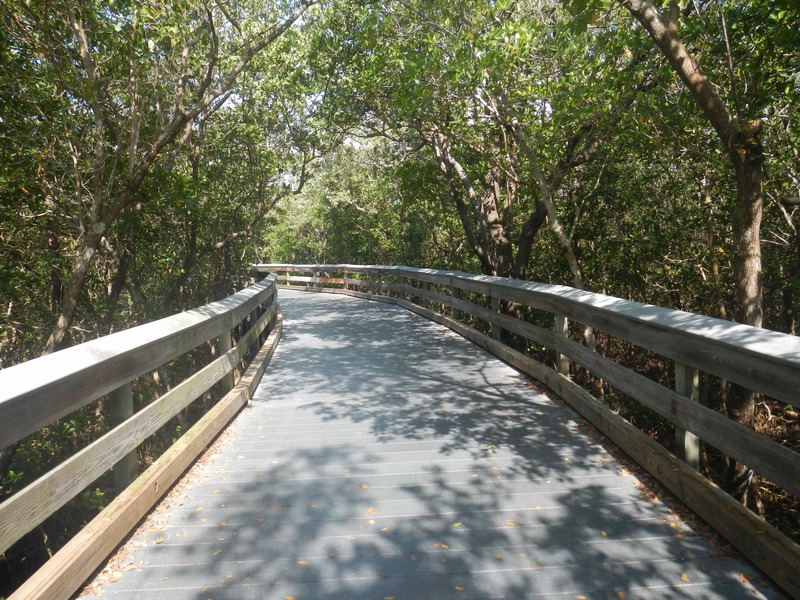 For the second part of our holiday we flew down to Naples, Florida, somewhere we have been many times. For this section of the trip fishing was very much a part of the schedule, and each morning I would be up before sunrise and after picking up a coffee in Starbucks, I’d drive north for about five miles from our 5th Avenue hotel along ’41-the Tamiami Trail’, take a left at Seagate and drive to the end of the road; Clam Pass. I didn’t start saltwater fly fishing at Clam Pass, but certainly it was here that I became thoroughly addicted to fly fishing in the tropics, and especially for snook. When we used to take annual family holidays in Naples I’d fish at Clam Pass for a couple of hours each morning, usually being back at the hotel to join the family in time for breakfast. 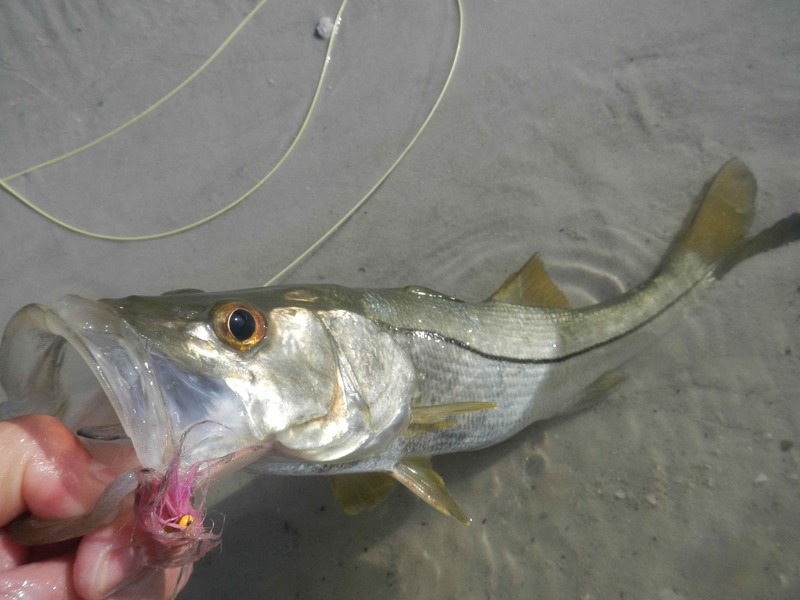 The snook fishing was amazing, with variety provided by plentiful sea trout, various jacks, snapper, ladyfish, small barracuda, croakers and more. 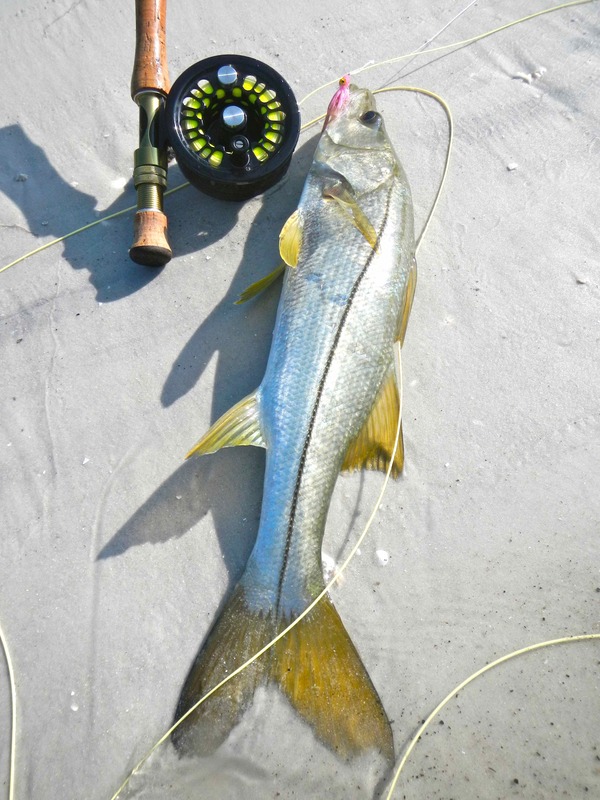 Then the bitterly cold winter of 2010 decimated the snook population, with the area around Naples and south into the 10,000 Islands affected particularly badly. Consequently when this year a paid my $8 daily parking fee and walked out along the boardwalk through lush mangroves to the beach, then walked a shore distance north to the actual pass and worked my way into the labyrynth mangroves I really wasn’t sure what I’d find. That first day was a bit of an exploratory session, getting to grips with the way the various channels and sandbanks had changed over the years. Each year is different, especially when the pass has been dredged, but slowly I got the feel of the passes latest layout of topography and settled down to some fishing. 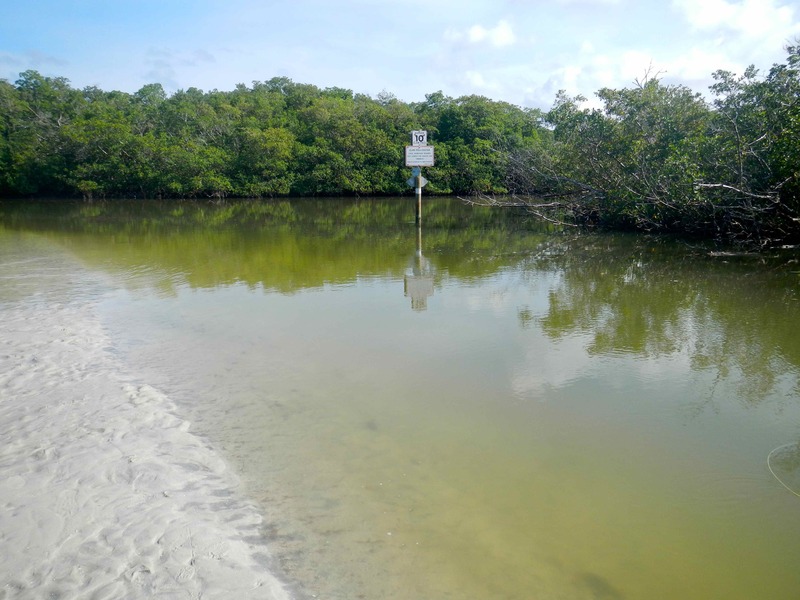 Early on I hooked and lost a snook, had a few other pulls and eventually landed a snapper, but as I headed back to the car I had a much clearer idea of where & how I would fish the next few days. Well with amazing weather and a perfect set of tides the fishing I experienced really was excellent. 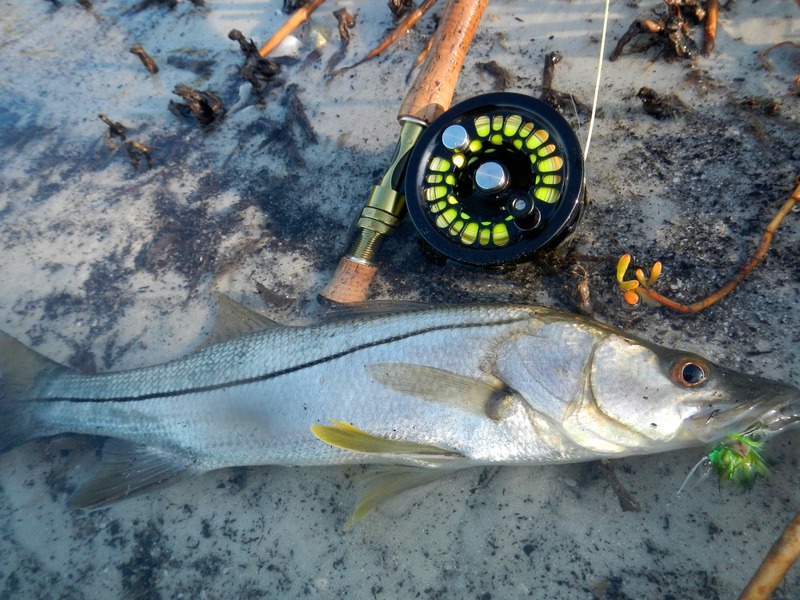 On the best morning I released five snook, and landed others every time I fished. I had started off fishing with my favourite Clouser Minnows, proven flies with which I have done so well on previous trips, but on this occasion were slow. 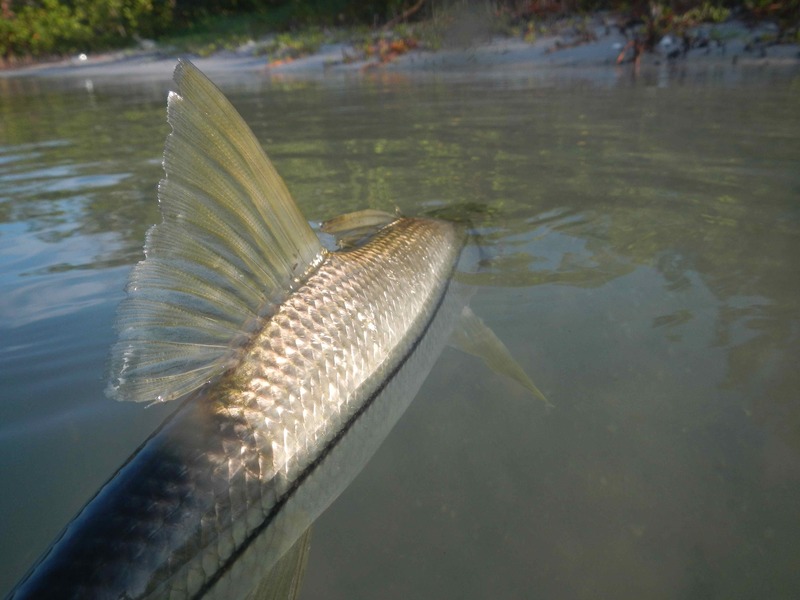 A switch to one of my home tied tarpon flies really produced the right results. 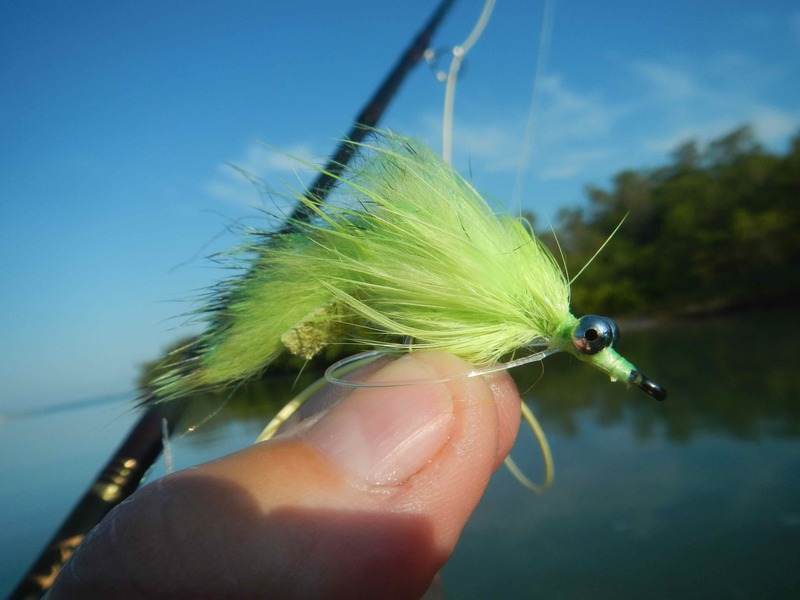 Tied on a super sharp, super strong size 1/0 Owner Aki hook the fly consists of a strip of barred chartreuse rabbit fur with a marabou collar, a monofilament weed guard and a set of bead chain eyes. I call it a ‘Bug Eyed Bunny and tarpon love it; so do snook! My Bug Eyed Bunny, a great fly for tarpon and, now, snook! 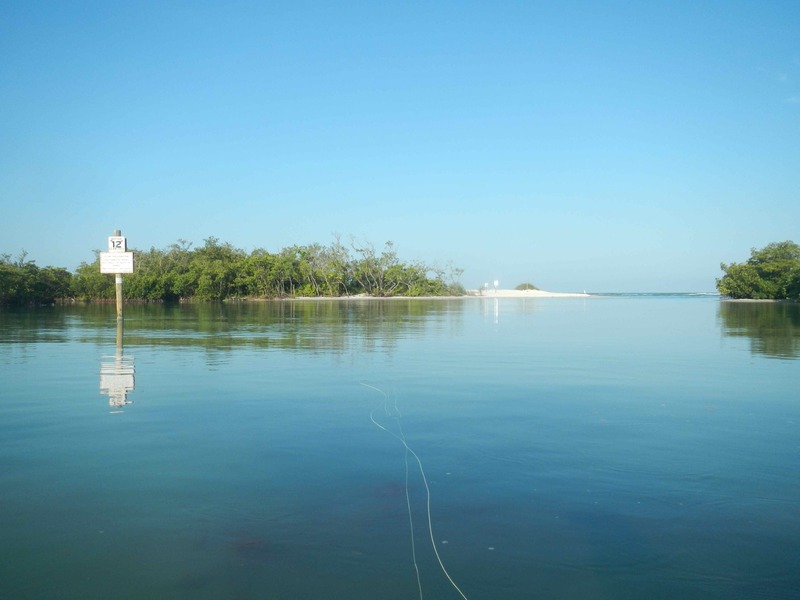 If anyone is looking for a great holiday destination for the family along with some excellent and very cheap fishing close at hand, I suggest you look at south-west Florida. If you fancy a full day of world class guided fishing either amidst the 10,000 Islands or offshore in the Gulf of Mexico, you’ll find it here in abundance. 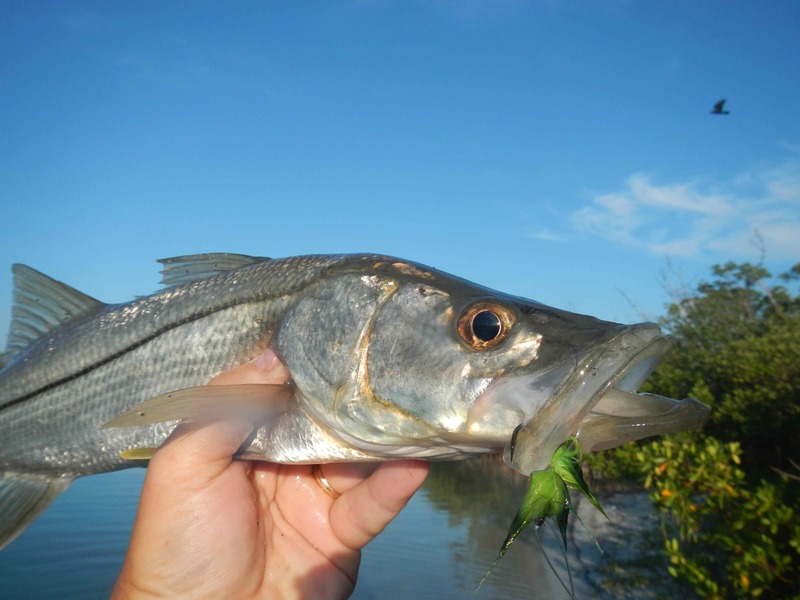 I have written about this area extensively under ‘Florida Snook’ under Memorable trips.